10. Home Improvement, 1999. With 35.5 million viewers, Tim Taylor edged out Frasier (#11), Dallas (#12), and Everybody Loves Raymond (#15) to crack the top 10. 9. Family Ties, 1989. 36.3 million viewers tuned in to see if Alex would take his dream job in New York and leave the Keaton family. 8. All in the Family, 1979. 40.2 million viewers watched as Archie professed his love for an ailing Edith. 7. The Cosby Show, 1992. Theo graduated from NYU in front of 44.4 million viewers and Denise returned via phone to reveal her pregnancy. But the real shocker was when Cliff finally got the doorbell to work properly after he had been trying to fix it all season. 6. Magnum, P.I., 1988. Is Higgins really Robin Masters? What really happened to Lily? Will Rick get married? At least 50.7 million other people wanted to know the answers to those questions too. 5. Friends, 2004. 52.5 million viewers. What would happen with Rachel and Ross? Monica and Chandler? Phoebe and Smelly Cat? No shockers here: everyone lived happily ever after. 4. Seinfeld, 1998, 76.3 million viewers. And at least half of those viewers were sorely disappointed with what they saw. One critic deemed it a big "So long, suckers! " farewell to the audience who had made the show about nothing such a big hit. 3. The Fugitive, 1967. 78 million people tuned in to watch part two of the finale and see what would happen to Richard Kimble. 2. Cheers, 1993. 80.4 million viewers. "One for the Road" featured the Return of Diane. Everyone who wondered what had become of Shelley Long's character found out when she returned with a phony husband. 1. M*A*S*H, 1983. 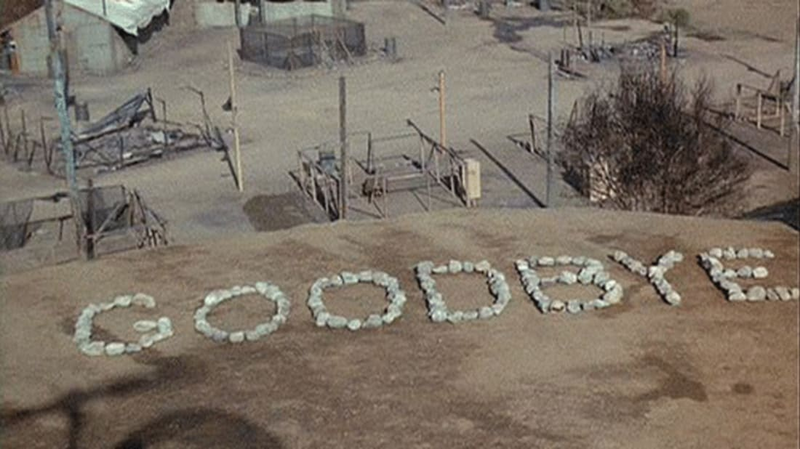 105.9 million viewers watched the Alan Alda-directed "Goodbye, Farewell and Amen" episode of M*A*S*H, which was not only the most-watched series finale ever, but the most-watched television event ever—until 2010, when the Super Bowl topped it with 106 million viewers. Had we not stuck to prime time, we could have sandwiched in Johnny Carson's finale (an estimated 50 million). Sources: USA Today, TV Guide, Reuters, TIME.